It’s that time of year when you can no longer go outdoors without grabbing a coat (at least, in most parts of the country). Though I think there are plenty of times when it makes sense to invest in high quality outerwear, I also believe that there’s almost always a way to get what you want for less. 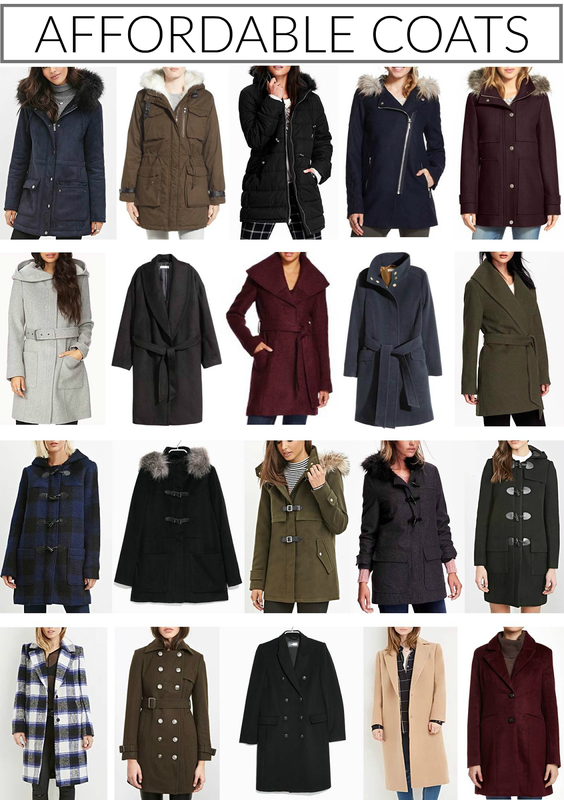 Many of you have asked about where to find the best coats for less, so I scoured the internet & rounded up my top budget-friendly picks for the season. I’ve included a range of varying styles + every single coat you see here is less than $100, with many as little as $30! Let me know if you’re looking for a specific style that isn’t shown below and I will do my best to track it down for you.